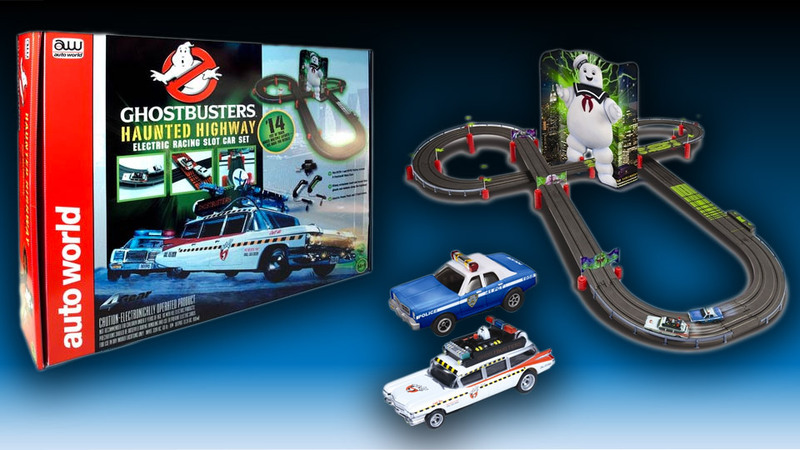 Introduce your kids to the wonders of Ghostbusters (if you haven’t already watch the 1984 Harold Ramis classic with them) with this awesome Haunted Highway Slot Car Racing set from Auto World Hobby. The set includes the Ghostbusters’ Ecto-1 and a NYPD police car, along with 14 feet of HO-scale track. Race around the track and under the ghosts and ectoplasms and through the legs of the Stay Puft Marshmallow Man.